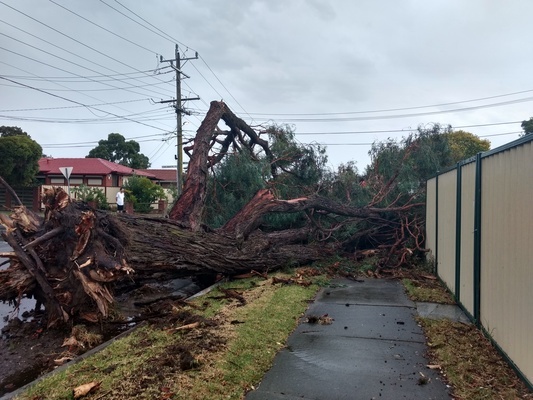 A big clean-up was undertaken after wild storms lashed across Greater Dandenong, bringing down trees and cutting off power to homes on Wednesday evening 30 January. 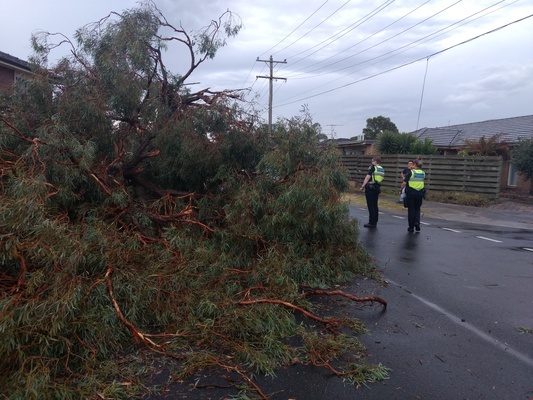 After a sweltering hot day, a severe thunderstorm described as a “mini-tornado” sparked dozens of calls for help with the Dandenong SES responding to 33 jobs from 5pm. 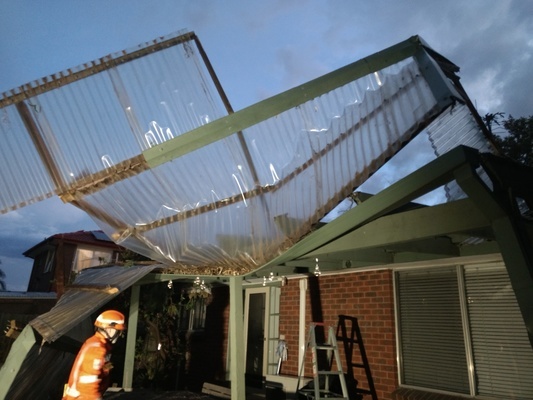 This included veranda roofs being blown off in Keysborough, and a tree falling across a nature strip and landing on a parked truck in Noble Park, which also impacted a power line. 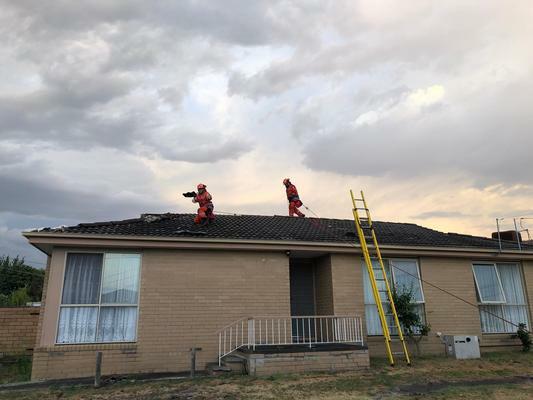 SES also had to tarp damaged roof tiles, and attended a job whereby a pergola roof had flown off and landed in the front yard of a home in Kilburn Court, Keysborough. No one was injured. 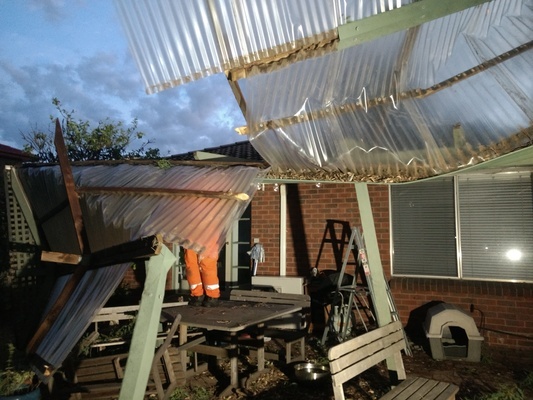 A trees also fell on a shed in Keysborough, while roof tiles were damaged with many homes. Narre Warren SES Unit was kept busy, attending to more than 160 calls for assistance in the City of Casey. 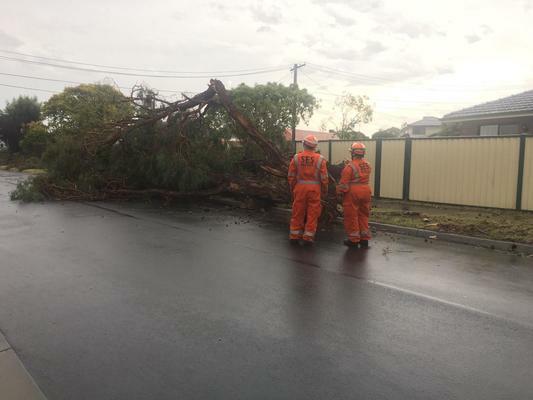 From 5.30pm onwards, SES crews assisted residents with trees on cars, trees on houses and garages and trees on roads. Badly bearing the brunt of the storm was Devon Meadows, Lynbrook, Cranbourne, Hampton Park, Tooradin, Clyde and Narre Warren South. About 69 SES jobs were for damage or blockage to houses and buildings, and about 97 jobs for trees down on roads and carriageways. Multiple SES units from Malvern, Monash, Whitehorse, Maroondah and Glen Eira also assisted with the clean-up. “It was heartening to see our emergency services brothers in the CFA come to quickly and eagerly,” Narre Warren SES Unit controller Damian Burns said. “It’s about working as one to keep the City of Casey safe. “Wednesday night was particularly heavy because of the number of trees that had to be cleared,” he said. Devon Meadows CFA brigade captain Andrew Swain said power lines down were brought in Muddy Gates Lane in Tooradin with power cut for eight hours. “I haven’t seen rain and wind like that 16 years, it was just like a mini-tornado,” he said. 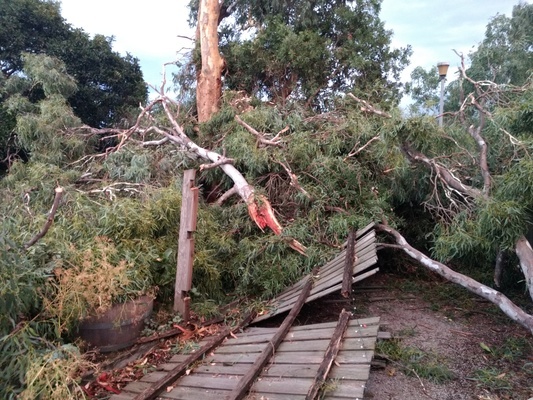 The Bureau of Meteorology said wind gusts ranged between 90km/h to 100 km/h.